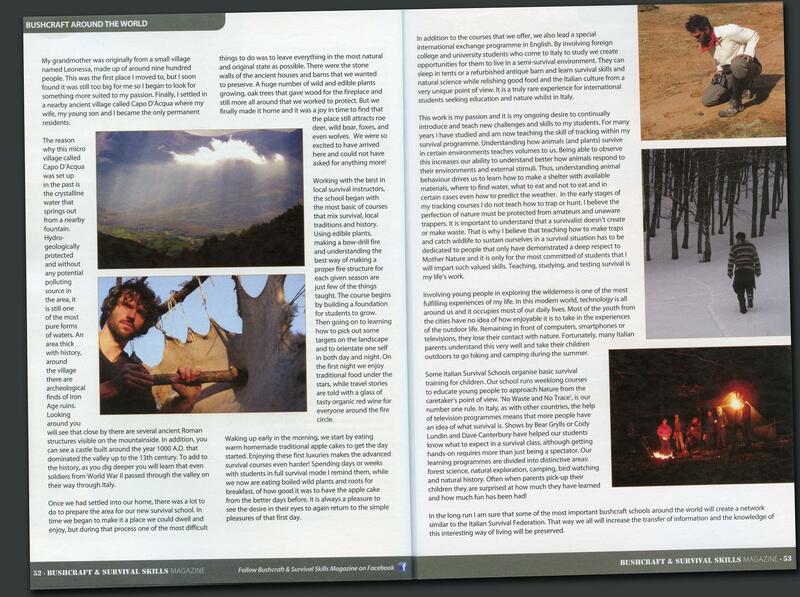 Natural Survival & Tracking School is lead by Marco Priori, an EU Adv. Master Instructor and Co-President of the Italian Federation of Survival (FISSS). 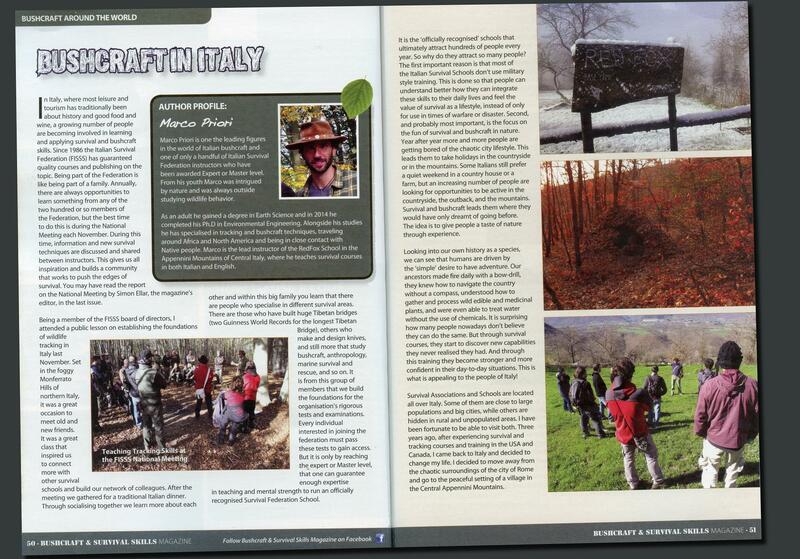 Marco Priori’s is the only Italian school that specifically teaches the art of Animal Tracking and Natural Survival™. Located in the Central Appennini Mountains (Italy) , just two hours away from Rome, the school is the perfect place to explore the wide Bushcraft world in a semi-survival to a full survival situation in Nature. In this place everything we do has the goal to keep the pureness of nature untouched. During the year we offer a path of 5 increasing steps of knowledge, skills and awareness. This path leads the students back to their personal balance with Nature. They discover soon that this balabce and ethical approach is mantained in their daily lives. Starting form long weekend courses at the beginning, we keep students in the wild for more than a week during advanced stages of education. The primitive skill’s courses are the foundation of what we teach in the RedFox survival & bushcraft classes. How to start a fire with wood sticks, filter dirt water to have drinkable water. How to built shelters in the woods, what plants to use for edible or medicinal uses. And how to make a rope with plant fibers or make a usable knife with flint are just few of the abilities the student will learn and master class after class. Natural Sciences and Geology are the foundation of the tracking classes. Camouflage and silent moving, leading to invisibility along with the ability of reading animal tracks lead the students to a different lever of perspective that allows students to get close to wildlife. In our school thecniques and skills are olny instruments for the main goal: get closer to Nature and create a connection with Her. 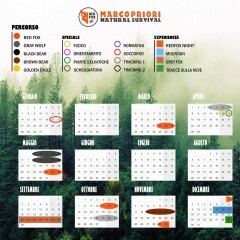 Marco Priori created this new and unique survival style: the NATURAL SURVIVAL™. 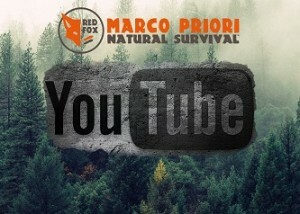 You can discover more about this movement on www.naturalsurvival.org. 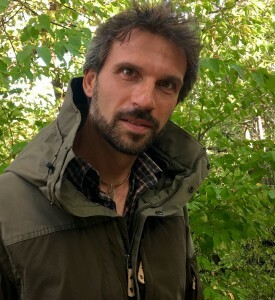 He is also one of a few Instructors of the Italian Survival Federation who has reached the Advanced Master Level (8+ EQF Level) and appears montly on one of the most popular Italian TV channels (Canale 5) explaining technics and concepts of Natural Survival. Since his youth he was intrigued by nature and has studied wildlife behavior. As an adult he graduated in Earth Sciences and in 2014 he completed his Ph.D in Environmental Engineering. Meanwhile he specialized in tracking and bushcraft techniques traveling around Africa and North America and being in close contact with Native people. He writes technical articles for Bushcraft Magazine , Survival Magazine and Italian Environmental Police (Carabinieri) Magazine. You can read an article below in this page. 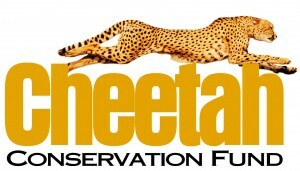 Part of the Natural Survival Classes income is donated to Cheetah Conservation Fund (CCF) to help to protect Cheetas and their beautiful African Ecosystem.